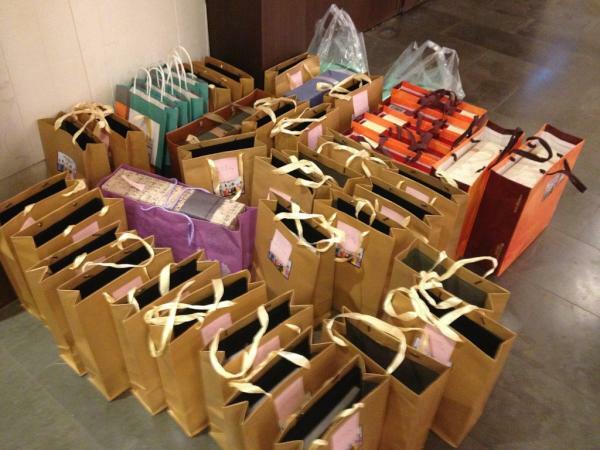 The cast and crew members of MBC Wednesday and Thursday drama series The Moon that Embraces the Sun gathered together to celebrate the drama came to a successful conclusion. 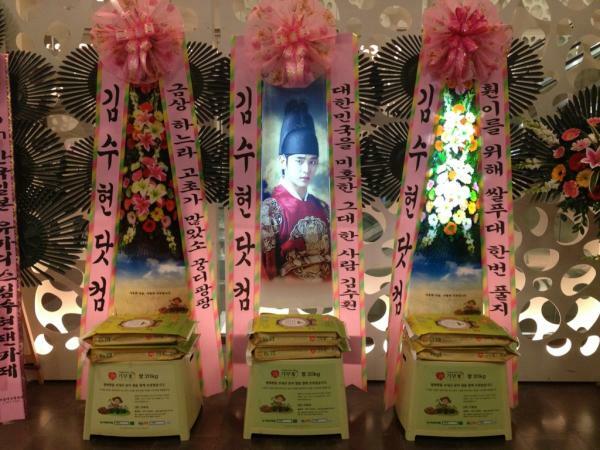 On the night of March 16th, 2012, the celebration party of The Moon that Embraces the Sun was held at the restaurant inside the Seoul 63 City Building. About 250 people including all the director, producers, staff crews and cast members gathered together for the celebration party. Actors who attended the party include lead actors, Han Ga In, Kim Soo Hyun, Jung Il Woo, Kim Min Seo, and other supporting actors Song Jae Rim, Song Jae Hee, Nam Bo Ra. There were also child actors who appeared at the beginning of the drama, namely Yeo Jin Goo, Kim Yoo Jung, Kim So Hyun, Lee Min Ho and others, for a total of about 50 actors. The actors greeted each others and took photos together. 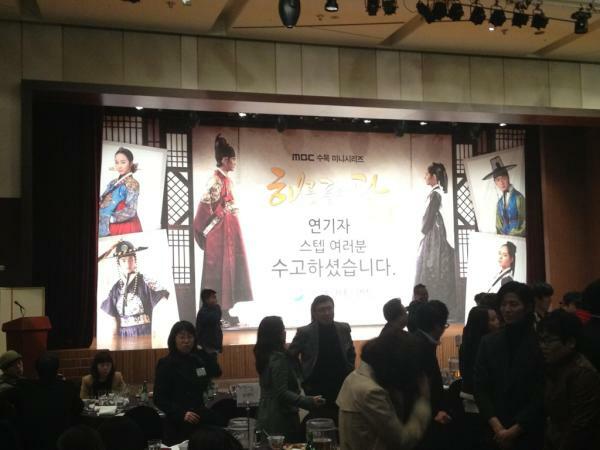 On the party, video of highlights from the over 70 days of filming was also shown, which even included the kiss scene of Lee Hwon and Yeon Woo. All participants enjoyed a great time. At the awards ceremony at the end of the party, Lee Min Ho who played young Yang Myung won the “pure love tough guy award,” while director Kim Do Hoon won the “meticulous award,” while Kim Soo Yun won the “purity award,” provoking laughter. 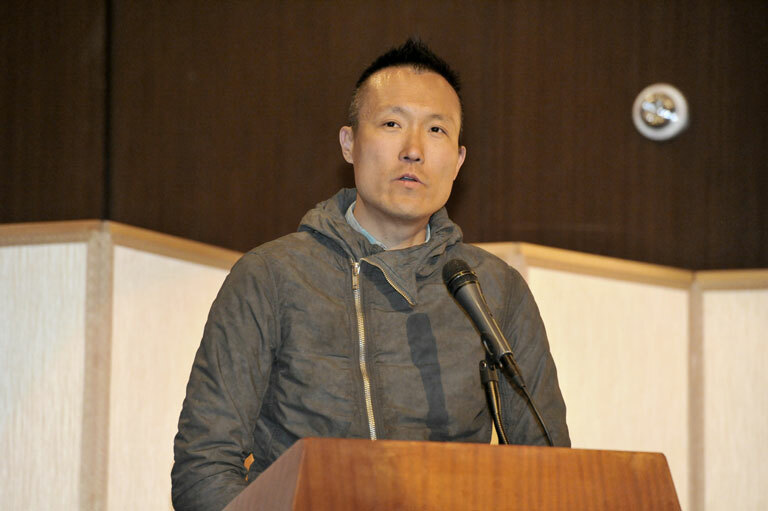 At the banquet, director Kim expressed his thoughts on the end of the drama, "This is not my film, this is our film," arousing a round of warm applause. The screenplay writer also said, "The winter of this year is colder than previous year. Everyone woke up early to shoot, really hard, very grateful to all staff crews and cast members who filmed without fear of the cold." 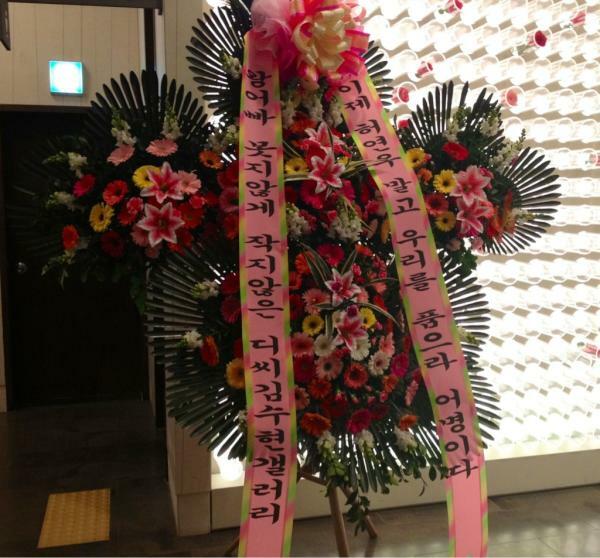 Jung Il Woo also said, "In an instant, three months time has passed. Spent 3 months of life as Yang Myung, I am very happy, this will be a drama which I will remember for a long time. 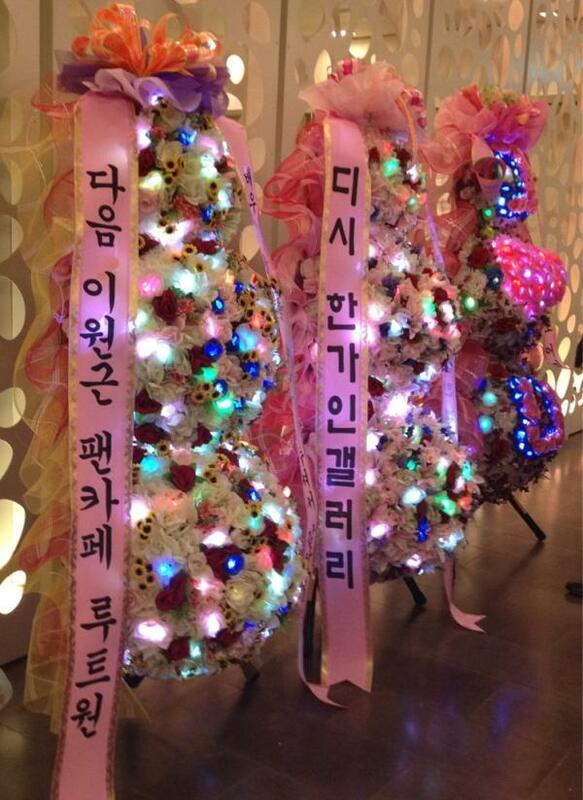 Everyone and staff crews whom we worked together for 3 months, you have worked hard." Actors, director and all the staff crews had get along very well on the set, and the harmonious atmosphere also continued to the celebration dinner. Everyone was sighing with emotion the time of working hard, and also expressed the unwillingness to part with the series on its end. 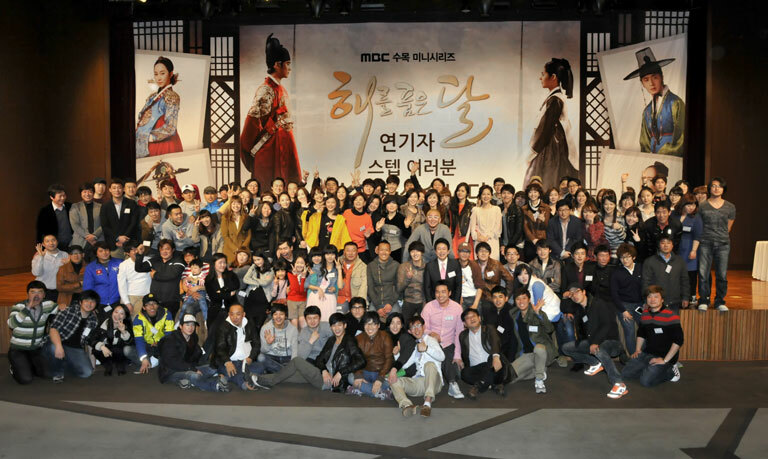 The Moon that Embraces the Sun which debuted on January 2012 become a nationally popular drama with over 40% ratings. In the last episode, the characters played by Jung Il Woo and Kim Min Seo died, while the characters played by Kim Soo Hyun and Han Ga In got married and lived happily.